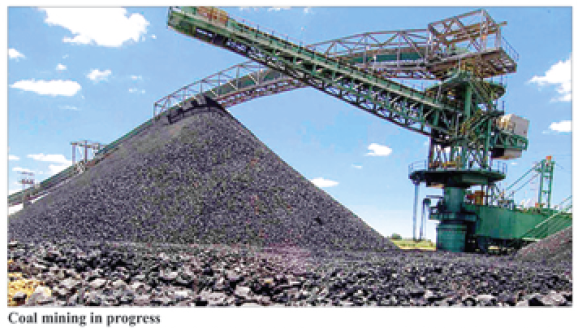 The piece “Malawi’s mineral wealth on show” featured below was initially published in Malawi’s Mining Review Issue Number 15 2014 that was circulated in August 2014. We also posted about the Mines and Mineral Act Review Symposium. It has all along been said, written and agreed without hesitation that Malawi is traditionally an agricultural country. But if you were part of the group that attended a two day symposium on the review of the Mines and Minerals Act this July, you will develop some hesitation in agreeing to this well known statement. There were various Malawian mining products on display at the entrance of the conference room at the Bingu Conference Centre where the symposium took place. Departments of Mines and Geological Survey, which are under the Ministry of Natural Resources, Energy and Mining exhibited to the patrons the mineral potential of the country through various materials they displayed at the stand. They also presented documents showing the mineral potential of the country, which could be precious for enterprising investors. But they were not the only exhibitor. A host of small-scale miners displayed gemstones sampled from across the country. said Chairman of the Mzimba Gemstone Mining Cooperative Society Jerifton Gama. Nonetheless, it was not only the government and small-scale miners that had valuable products on show. Mining companies too had their share of the counter. Paladin (Africa), which disappeared from the scene after news that it had halted operations at Kayelekera Uranium Mine in Karonga, was on show. said Paladin General Manager for International Affairs Gregory Walker. But the story about mining in Malawi cannot be complete without mentioning the coal industry, which is a crucial sector in the country where demand for energy is on the rise due to industry and population growth. In this vein, Malcoal Mining Limited was one of the outstanding exhibitors at the function. The company displayed the quality coal that it is mining from the Nkhachira Coal Mine in the Northern Region and the interesting thing with Malcoal’s story was that the company said it wants to utilise some of the coal from the site for local electricity generation. The plan for Malcoal, which is a joint venture between ASX-listed Intra Energy and local firm Consolidated Coal Mines, is to set up a 120MW coal fired power plant to supply the national power grid. said Intra Energy Country Manager Eugene Khoriyo. Hopefully, this project will answer concerns from a number of prospective miners including Globe Metals and Mining, which is negotiating for a development agreement with the government to start niobium mining at Kanyika in Mzimba. Globe’s Country Manager Neville Huxham raised concerns over the availability of adequate power for the company’s mining operations in the country as Escom only produces about 351MW of electricity against a power demand of 350MW. The other stakeholders who exhibited their products at the function included suppliers of mining equipment with Barloworld Equipment stealing the show with their range of ready-made equipment for construction and mining operations. Banks notably Malawi’s largest bank, National Bank of Malawi, which has its coffers ready to finance both big and small-scale mining operations, FDH Bank and Standard Bank were also represented at the symposium. It is great that we had investors from as far as the UK and Australia coming to the function. It shows that though as a country we do not have a rich mining history, our resources are being appreciated. said Kalindekafe, himself a renowned mineral policy expert. Allied Procurement Agency,a company which was running a pilot heavy mineral sands project in Chipoka near Salima,just disappeared from the scene.What is the status of that project?